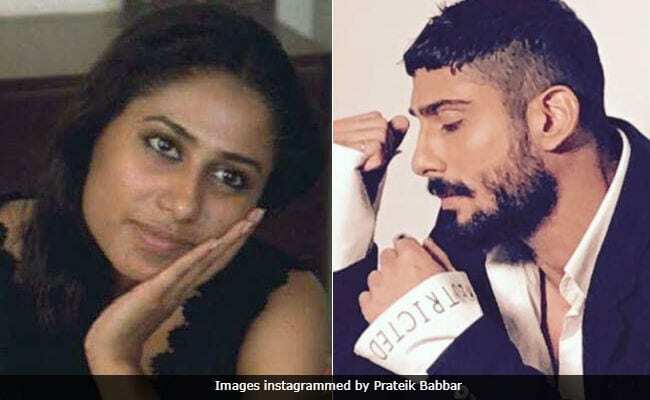 Prateik Babbar said: "I have always wanted to celebrate her birthday on a film set as that was a place that breathed life to her passion and who she really was"
On late actress Smita Patil's birth anniversary, her son Prateik Babbar said that he will cut a 10-kg cake on the sets of his new film Mulk. Smita Patil, born on October 17, 1955, was only 31 when she died a few days after giving birth to Prateik. "We are going to be cutting a 10 kg cake on set for 170 people. I have always wanted to celebrate her birthday on a film set as that was a place that breathed life to her passion and who she really was," Prateik told news agency IANS. Prateik, a former drug addict, joins Rishi Kapoor and Taapsee Pannu in the Anubhav Sinha-directed film. "I will also be bringing in red roses and white lilies as she loved flowers. My father will be joining me on set (Tuesday) as well. I hope to have him join me in the celebrations. I'm very pleased that 2017 is shaping up really well for me," Prateik added. Recently, Prateik had instagrammed an old picture of Smita Patil at the Cannes Film Festival from 1976, which she attended with her Nishant director Shyam Benegal and co-star Shabana Azmi. mommy boss at cannes.. many.. many light years ago..
Director Anubhav Sinha also remembered and praised Smita Patil, who is best remembered for her role in films such as Bhumika, Chakra, Arth and Namak Halaal. He said: "Filmmakers who got an opportunity have always maintained that no actress can match her (Smita) finesse in acting and, I admit, I am a big Smita Patil fan. No discussion of meaningful Indian cinema is possible without her. It will be a special day on sets." Prateik Babbar was born to actor politician Raj Babbar and his second wife Smita Patil. After Smita Patil's death, Raj Babbar returned to live with his former wife Nadira Zaheer with whom he has a son, Arya, and daughter, Juhi. Prateik was raised by his maternal grandparents.